I made this mesh replacer because many objects in MGSO 3.0 were improperly smoothed, massively bloating their poly-counts, and they often had broken or stretched UV maps. I significantly reduced the poly-counts compared to MGSO 3.0 while retaining the same quality or better. All meshes are designed to fit the vanilla Morrowind aesthetic and look equally good with MGSO installed. Textures have only been included if I couldn’t find suitable hi-res versions. Otherwise they’ll use whatever textures you have already loaded. 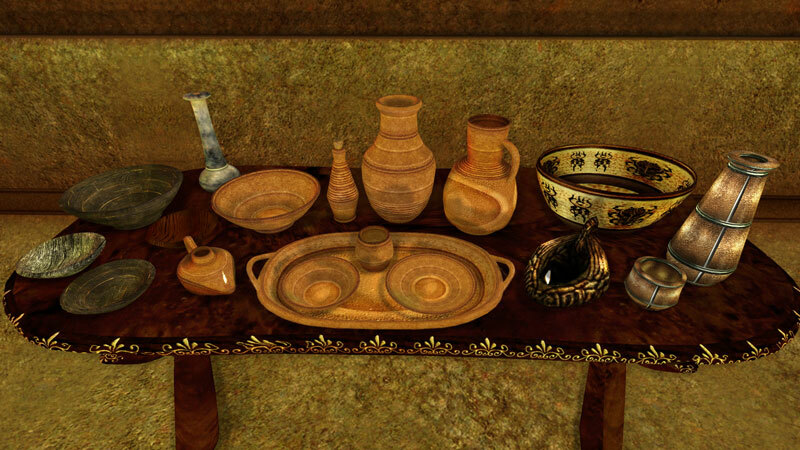 Version 1.0 mainly deals with cushions, common redware, wood dishes, de candles, and a few random furniture objects. This mod will be updated as I re-do more meshes, primarily misc items because other mesh types are adequately covered by other skilled modders. I do take requests, but I won’t necessarily get to them right away.